Considering selling your Porsche or performance car ? Brookspeed current stock for sale, used porsche and prestige vehicles. Finance and EXTENDED Warranties available. Here at Brookspeed we are pleased to offer this Mercedes-Benz S350 Blue-efficiency to market. The car is in good condition having covered only 66276 miles from new (this will rise as in daily use) with only 5 former keepers (plus current keeper, a director of the company) The coachwork is finished in Iridium Silver Metallic with Black Leather trim, The bodywork is good for age, the wheels are genuine AMG 20" items with recent tyres all round. The has the following optional extras; 6 disc DVD/CD changer, Telephone pre-wiring with hands-free facility and telephone arial, Front seats Heated, Dark Burr Walnut Wood Trim, Iridium Silver Metallic Paint. Buy with confidence from one of the UKs premier independent Porsche specialists with over 20 years experience. National/International Delivery available. This vehicle has been inspected in our own service center. Most major payment methods accepted, P/X welcome. For a competitive finance quotation please call or visit us. Here at Brookspeed we are delighted to offer this Porsche Cayman R to market. The car has covered only 34279 miles from new with only 4 previous owners, plus current. The car is in very good condition with no marks or scrapes on the body or interior. All wheels are in fantastic condition and all tyres are in great condition. The car also benefits from also having a Porsche Certificate Of Production as we as having a full Porsche main dealer history. This benefits from a brilliant optional specification including; Carrera White coach work with Gloss Black accents, 911 GT3 style wheels, Porsche Doppelkupplung (PDK), Heated Seats, Automatic Air Conditioning, Preperation for Mobile phone, ParkAssist Rear, Sport Chrono Package Plus, BOSE Surround Sound System including CD Storage Box, Universal Audio Interface, Porsche Communication Management (PCM) including Navigation Module, Sports Seats, Cruise Control. As you can see this car has a fantastic specification and is a highly desirable specification. The first serious enquiry is sure to buy her. Buy with confidence with one of the UKs premier independent Porsche specialists with over 20 years experience. 3 months warranty, Next MOT due 18/03/2020, Last serviced on 09/10/2017 at 31,124 miles, Full dealership history, Excellent bodywork, Black Full leather interior - Excellent Condition, Tyre condition Excellent, 2 seats, Carrera White, 5+ owners, £38,500, Upgrades - BOSE Surround System with CD Storage, Rear Center Console in Exterior Colour, Seat Belts in Guards Red, Sport Chrono Package Plus, Sports Seats, Heated Seats, Automatic Climate Control, Preparation for Mobile Phone, ParkAssist Rear, Universal Audio Interface, Porsche Communication Management with Sat Nav, Cruise Control, Standard Features - Air-Conditioning, Electric Windows (Front). Here at Brookspeed we are delighted to offer this Porsche 997.1 Turbo finished in GT Silver metallic with Graphite Grey (black) leather in immaculate condition with only 25720 miles from new. Fantastic options including sunroof, BOSE surround sound system, Electric front seats with driver memory, Rear Wiper, TPMS. 6 owners in total with the current owner having owned the car since November 2015. All new tyre pressure monitoring sensors and control unit. Complete stainless steel exhaust system by Kline, DMS engine remap with exhaust fitting. Currently running in the region of 580bhp. Uprated SACCHES clutch fitted at 24,046 miles. All bonded coolant spigot pipes (5no) that can become loose and blow out with no warning were removed, cleaned, refitted and locked in place mechanically (not welded). All coolant hoses in the engine bay replaced and refitted with stainless hose clips. Turbos removed and fully refurbished by Turbo Dynamics of Bournemouth including brand new Billet Aluminium boost recirc valves. New turbo inlet hoses and boost pipes. All new oil, coolant feed return and oil vent stainless pipes replaced to both turbos, new scavenge lines to oil tank x2, new coolant pipe connectors throughout. All metal brackets and heat shields removed, shot blasted and re-plated, vacuum pump (brake servo vacuum source) cover shot blasted and epoxy coated. New stainless sport exhaust manifolds. New O ring seals to scavenge pump manifold. Engine meticulously cleaned and painted with high temp aluminium coating. Upgrades - 6CD Autochanger, Audi Exclusive RS4 Black Leather Pack, Automatic Dimming Rear View Mirror, DVD-Based Satellite Navigation Plus, Electric Front Recaro Sports Seats, Front Centre Armrest with Storage Compartment, GSM Mobile Preparation in Front Centre Armrest, iPod Connection, 3 months warranty, Next MOT due 16/11/2019, Last serviced on 16/11/2018 at 97,678 miles, Full service history, Clean bodywork, Black Full leather interior - Clean Condition, Tyre condition Excellent, Four wheel-drive, Standard Features - Adjustable Steering Column/Wheel, Air Bag Driver, Air Bag Passenger, Air Bag Side, Alarm, Alloy Wheels (19in), Body Coloured Bumpers, Central Door Locking, Centre Rear Seat Belt, Climate Control, Computer (Driver Information System), Cruise Control, Electric Windows (Front/Rear), Electronic Stability Programme, Front Fog Lights, Head Air Bags, Head Restraints, Immobiliser, In Car Entertainment (Radio/CD), Mirrors External, Parking Aid (Front/Rear), Power Socket, Power-Assisted Steering, Roof Rails, Seat - ISOFIX Anchorage Point (Three Seats - Rear), Seats Heated (Driver/Passenger), Steering Wheel Mounted Controls, Traction Control System, Tyre Repair Kit, Upholstery Leather, Tinted Glass, Tyre Pressure Control, BOSE surround sound, Carbon Fibre interior inlays, Carbon Fibre engine bay detailing, Adaptive Headlights, Technology Pack. 5 seats, Light Silver Metallic. Here at Brookspeed we are delighted to offer this Audi RS4 Avant to market. One of the last with the naturally aspirated V8's paired with a 6 speed manual gearbox. Finished in Light silver metallic with black Valcona Leather with Grey/Silver piping. The car has also recently had Front brake pads and all 4 tyres replaced. The car has had 6 former keepers (plus current) having covered only 97716 miles from new. Full Service history with book ready for inspection. The wheels have been refurbished recently and the bodywork and interior are both in good condition. Drives fantastically with good clutch feel and revs cleanly through the rev range. Ready to go with fresh Service and MOT. Buy with confidence from one of the UKs premier independent Porsche specialists with over 20 years experience. FANTASTIC CONDITION INSIDE AND OUT. 3 months warranty, Next MOT due 20/08/2019, Last serviced on 06/06/2017 at 32,697 miles, Full dealership history, Good bodywork, Black Full leather interior - Excellent Condition, Tyre condition Good, Air-Conditioning, Computer (Driver Information System), Electric Windows (Front), In Car Entertainment (Radio/CD/MP3), Upholstery Leather. 2 seats, Metallic Aqua Blue. Here at Brookspeed we are delighted to offer this 2009 Porsche Cayman 2.9 with the 6 speed manual gearbox. Only 4 previous owners (plus current) with the car having covered only 40417 miles from new. The car comes with both keys and is finished in the lovely Aqua Blue Metallic with Black leather seats, black carpets and dashboard. 19" Carrera Sport wheels wrapped in matching Michelin Pilot Sport tyres with a minimum 5mm of tread all in the correct N2 rating for the car. The car also has the Cayman R style side graphics in matt silver. The car has been very well looked after from new with a full Porsche main dealer service history. The interior is in fantastic condition and the infotainment also has an auxiliary input. The bodywork and wheels are also in good condition. All in this car really is a must see. Buy with confidence with one of the UKs premier independent Porsche specialists with over 20 years experience. OVER £2000 JUST SPENT ON BODYWORK. FRESH MOT. Upgrades - Leather Interior - Coupe or Targa, Leather Seats, Leather Interior (Coupe/Targa Only), Green Tinted Windscreen, Sports Seats with Electric Height Adjust (P/Seat), Silver Wheel Centre with Coloured Porsche Crest, On-Board Computer, 3 months warranty, 12 months MOT, Last serviced on 16/06/2016 at 83,734 miles, Full service history, Good bodywork, Grey Full leather interior - Good Condition, Tyre condition Good, Standard Features - Alloy wheels, Anti-Theft Immobiliser System, Electric Steel Sunroof, Airbags, Electric windows, Leather seats, Power steering, Radio, Air conditioning, Central locking, Folding rear seats, Immobiliser, Remote central locking, Electric door mirrors, Alarm. 4 seats, Midnight Blue Metallic. Here at Brookspeed we are pleased to offer this Porsche 911 993 Coupé with the Tiptronic gearbox to market. The car was first registered on 28/02/1996 and has been in the same family ownership for the last 13 years having covered a total of only 85452 miles from new. The car has full service history with service history books to match. The car is finished in Midnight Blue Metallic with full Grey leather interior with Sports seats. The car drives very well for a car of this age, the engine in smooth, pulls well through the rev range and the gearbox changes smoothly and swiftly. The car really is a must see and is ready to be enjoyed by its next owner. Buy with confidence with one of the UKs premier independent Porsche specialists with over 20 years experience. Porsche 968 CS (Club Sport) 1994 M £35,000. 1 of only 150 in the UK!! Superb condition, includes indoor car cover in matching red! Porsche Certificate of Production included. Upgrades - Graduated Tinted Glass, Removable Sunroof with Electric Tilt Facility, Anti-Theft Package (Club Sport Only), Full Sports Chassis (968 CS), 3 months warranty, 12 months MOT, Last serviced on 07/05/2014 at 83,896 miles, Full service history, Excellent bodywork, Black Cloth interior - Excellent Condition, Tyre condition Good, Standard Features - Alloy Wheels 17in Pressure-Cast `Cup Design', CD Player, Colour-Coded R/Spoiler (Standard on Club Sport), Recaro bucket seats, colour coded, Alarm Immobilisor, Air conditioning, Sony 10 disc CD. 2 seats, Solid Guards Red. Here at Brookspeed we are delighted to be able to offer this to market., Guards red with a black interior with retro fitted air conditioning and 10 disc player. This magnificent Porsche 968 Club Sport is in superb condition. The car has driven 87,500 documented miles from new. The has unmarked original alloys and matching tyres all round with great tread. The interior is in fantastic condition with fixed back drivers and passenger Genuine Porsche Motorsport Recaro Pole Position seats with body colour backs and rear seat delete option. The car has a full service history as you would expect from a car of this calibre. The Porsche 968 was built from 1991 until 1995. In total 11.245 cars (5731 coupe/3959 cabriolet) and only 1538 of these lighter Club Sport cars were built. The CS was 50 kg. lighter than the standard coupe model. This fantastic 968 CS shows all original details, is fitted with Recaro bucket seats with red backs, no rear bench and a detachable tilting roof panel. A rare car, a superb driver, excellent balance, pulls fantastically with no smoke or knock from engine or suspension and highly desirable! Indoor car cover in matching red included in sale. Buy with confidence with one of the UKs premier independent Porsche Specialists with over 20 years experience. This a must see for the true enthusiast, viewing is highly recommended. 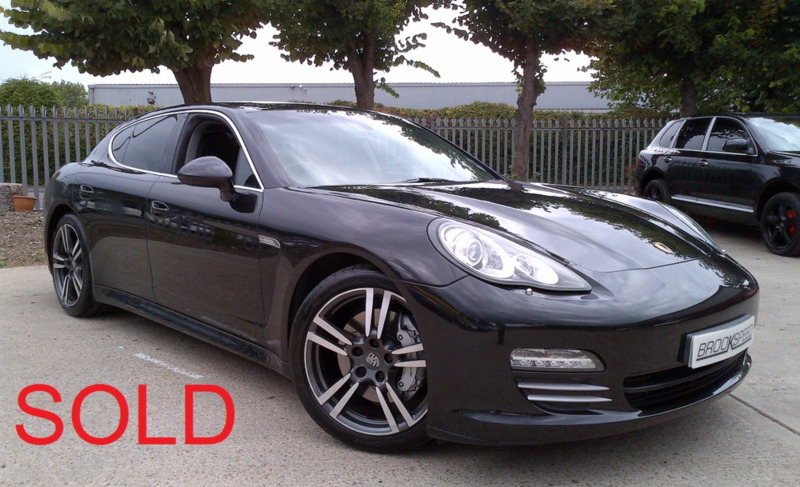 Upgrades - Automatic Climate Control, Extended Leather Package (Doors), Full Leather Sports Seats, Porsche Sound Pack, Wind Deflector, 3 months warranty, Last serviced on 05/10/2016 at 72,405 miles, Full service history, Average bodywork, Black Full leather interior - Good Condition, Tyre condition Good, Standard Features - Alarm, Electric Windows (Front), In Car Entertainment (Radio/CD), 18" Boxster S wheels, CDC-4 six disc CD autochanger, 3 spoke steering wheel in leather. 2 seats, Metallic Artic Silver. Selling your car ? - consider Sale Or Return "SOR". Brookspeed will sell your car for its optimum value at a price greater than you would receive if you traded it in, but without the complications and risks of selling it privately. We issue a receipt for all paperwork, V5, keys and the car. We inspect the car and advise any work required for a sale. No work will be carried out without authorization. The sale price is agreed with yourself before advertising. We contact you with any serious offer. Car does not leave our premises without full payment of cleared funds. We transfer the sale balance to you on completion of sale. We keep your car in our secure forecourt/showroom and prepare it as though it is our own. While in our possession the car is insured by ourselves. Call Martin or Jason 02380641672 or 07776085557 for details. Brookspeed can take all of the hassle out of moving away from your current car! So, whether you're about to part exchange it for another car or simply need to get rid of your current car quickly, we can help. No time wasters or test pilots. No strangers visiting your home. Scams. Professionally advertised in top motoring web sites & social network sites. Achieve the Optimum Retail Value. Gallery of up to 20 photos per car. Marketed 7 days a week, 24 hours a day. Cars sold from a reputable outlet. Finance packages from leading lenders. on behalf of our clients. Silver Porsche 911 996 Coupe 3.6 Turbo, 71300 miles SOLD.